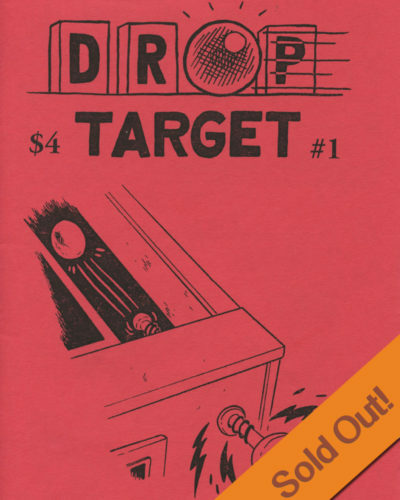 All seven issues of Drop Target Zine, plus over 100 pages of new content all in a single book! Category: graphic novels. 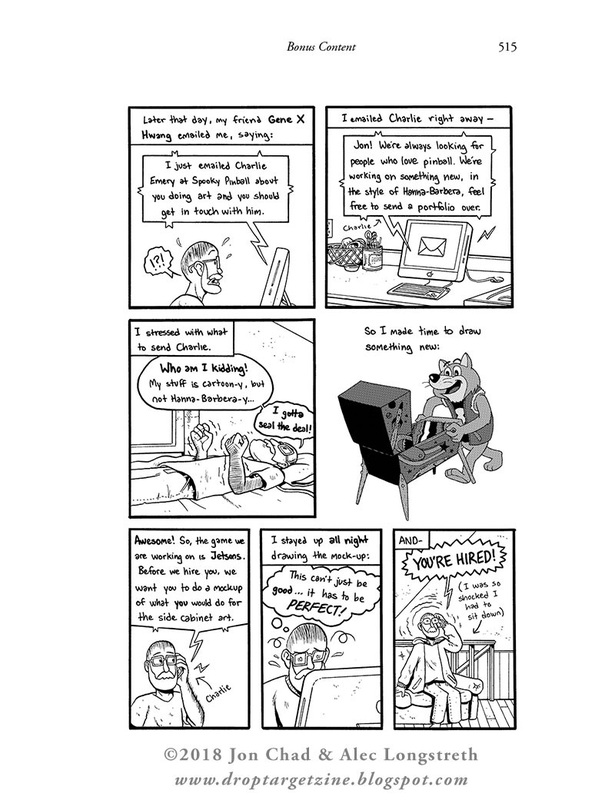 Genres: Comics for Kids, Nonfiction. Concerning: hobbies. 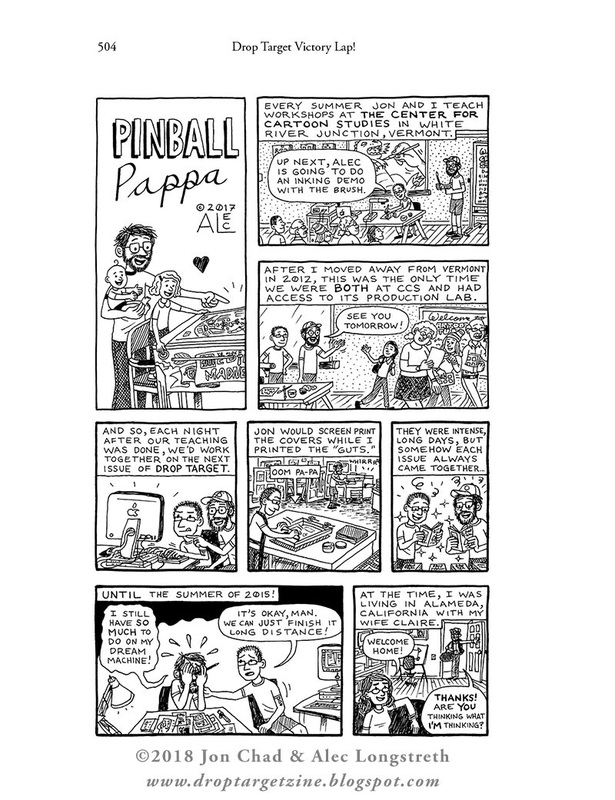 From 2010 to 2015, Jon Chad and Alec Longstreth published seven issues of Drop Target Zine, dedicated to their love of pinball! 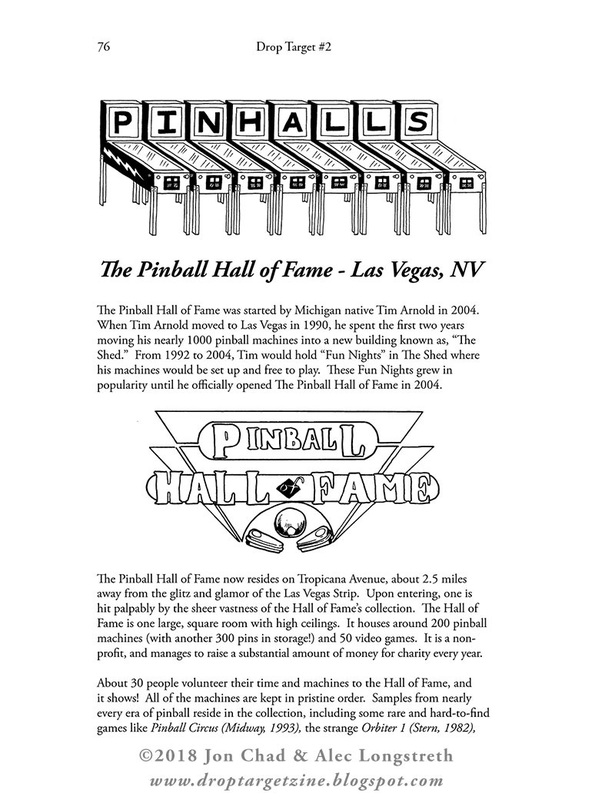 In this 540-page tome, Jon & Alec collect the entire run, as well as over 100 pages of bonus materials illustrating their voyage through the games, communities, and industry of pinball. 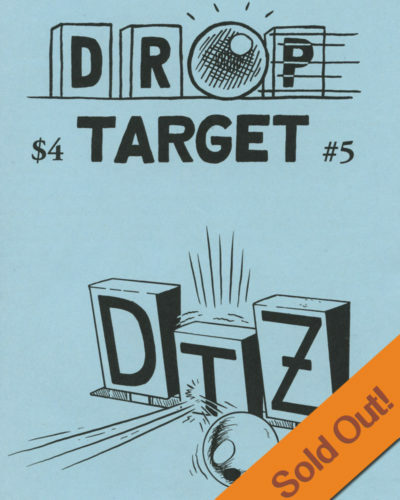 What stands out in the Drop Target zines have always been Jon and Alec’s exuberant enthusiasm and meticulous attention to detail. 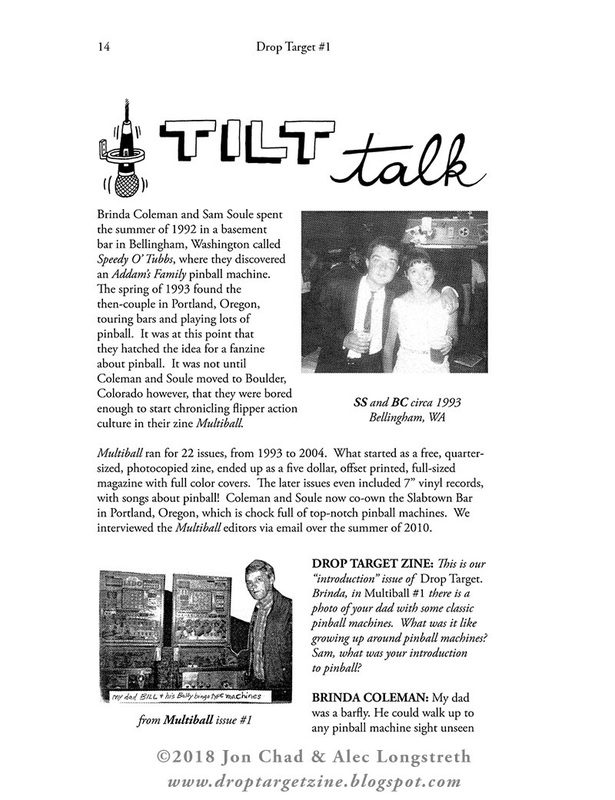 This book is full of interviews with notable pinball professionals, reviews of games, pinball venues, and pinball-related media. 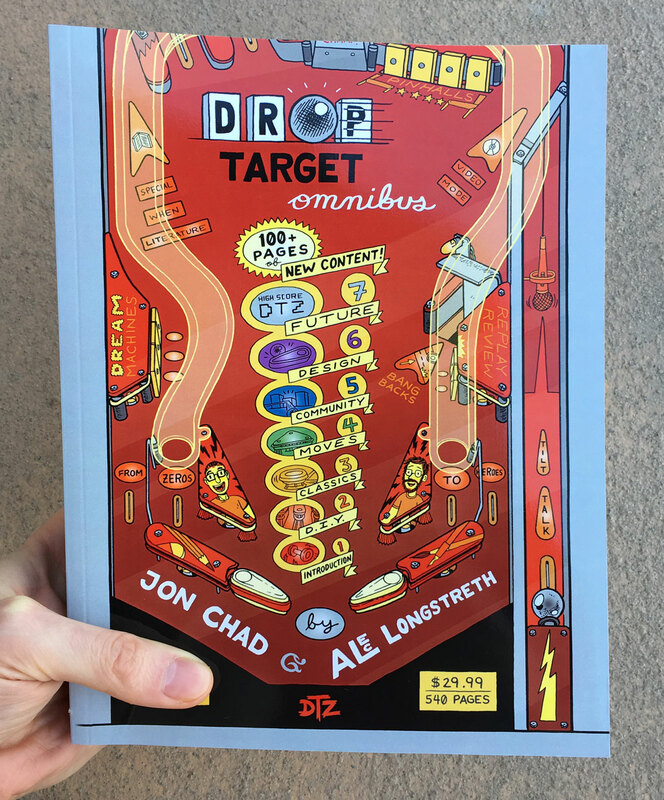 Drop Target Omnimbus chock-full of comics by Jon and Alec about pinball and how its changed their lives, and strengthened their friendship. 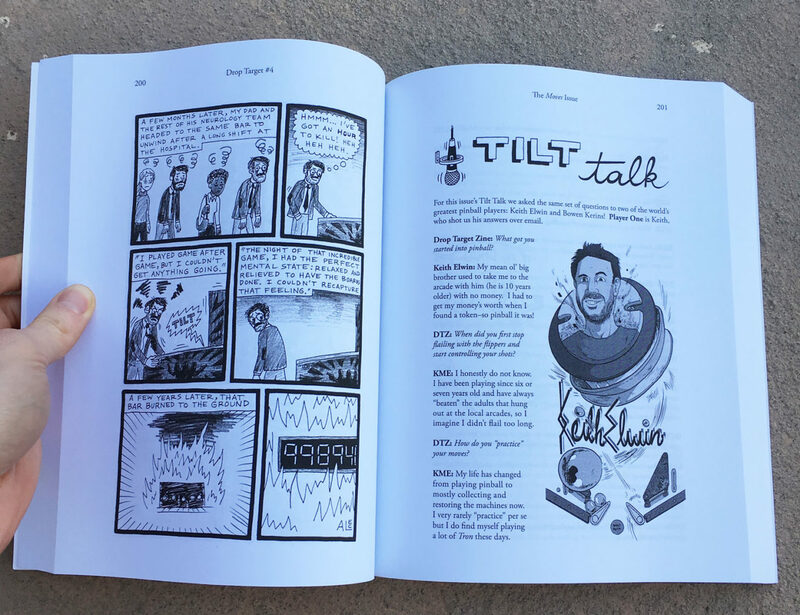 Plus there are pages and pages and pages of “Dream Machines,” imagined pinball games by Alec and Jon, and a parade of friends, including comics artists, Aaron Renier, Liz Prince, Gabby Schulz, Nate Beaty, Beth Hetland and more! 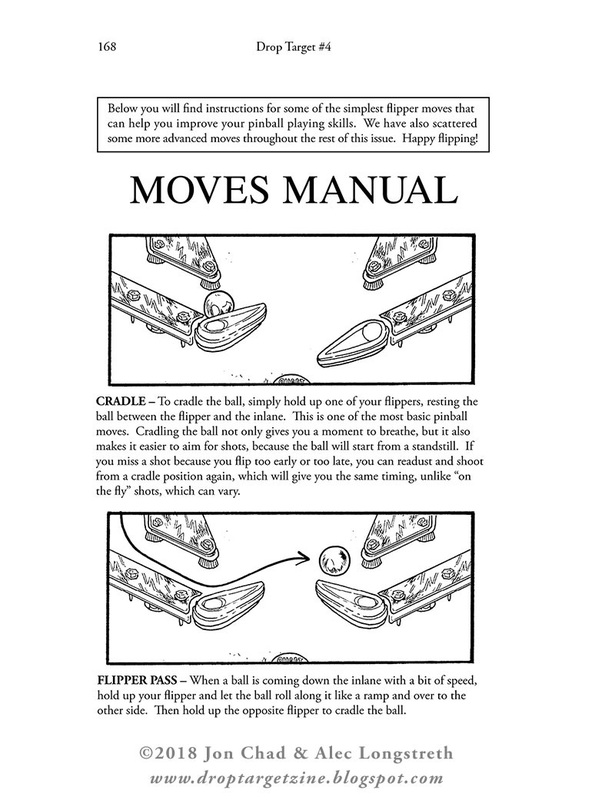 Whether you’re a pinball wizard, or like dunking a few quarters in a game now and then, Drop Target is an enjoyable in depth look at the mechanics, business and community of a great american pastime.